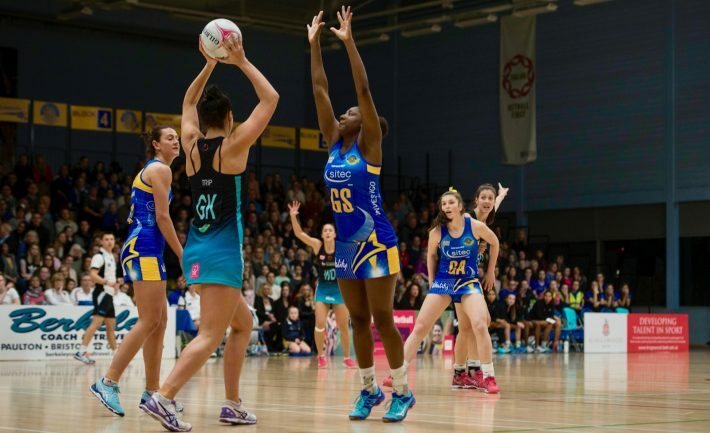 Outstanding shooting backed up by inspired defending helped Team Bath Netball come through a tough challenge at Surrey Storm on Saturday to record a third win on the bounce in the Vitality Netball Superleague. Commonwealth gold-medallist Kadeen Corbin converted all 25 of her shots during a fantastic display and goal-attack Sophie Drakeford-Lewis also boasted a 100 per cent conversion rate as the Sitec-sponsored Blue & Gold came away with a 56-51 away victory against an excellent Storm side. Chelsea Lewis also scored with 18 of her 22 attempts, while tremendous pressure around the Storm shooting circle – led by the tireless and tenacious Imogen Allison – allowed Team Bath to hold off a Storm surge and keep up their winning run ahead of their home match against Team Northumbria on Monday, May 21 (7pm centre-pass). Anna Stembridge, Team Bath Superleague Head Coach, said: “I was really proud of the way the girls performed on Saturday. Storm have been picking up form over the past few weeks and played superbly, while their crowd is always noisy and supportive, so to see the way we took on that challenge and thrived on it was very pleasing. A cracking game of netball saw momentum swing throughout the evening. Team Bath trailed by three after the first quarter but responded superbly to lead 28-26 at half-time, only for Storm to regain the initiative and win the third quarter 13-9. The visitors were determined to build on their home wins over Celtic Dragons and Severn Stars, though, and pulled away during the final 15 minutes to secure a victory that puts them level with Loughborough Lightning, Manchester Thunder and benecosMavericks on 24 points. “That was our third win in eight days but what we are particularly happy with is that we are not just picking up points but we are playing with confidence, direction and composure too,” said Stembridge. The Blue & Gold return to the Team Bath Arena next to face a Team Northumbria side who have won twice since the Commonwealth break and pushed Thunder all the way over the weekend. Tickets for the Northumbria match and Team Bath’s four home games during June are on sale now – visit netball.teambath.com/fixtures to purchase. Team Bath Netball are sponsored by Sitec and supported by partners Mogers Drewett, Investigo and Netball South West. 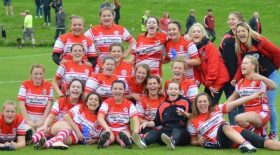 Centurion Chartered Financial Planners are supporting the team’s performance analysis and people development capabilities, Viper 10 are their Sportswear Supplier and Skins provide the team with compression wear.